Road safety campaigns with the theme of sharing the road have been popular across Australia in recent years. State based road authorities, together with cycling interest organisations such as Bicycle Network and the Amy Gillett Foundation, have been working hard to spread the word of understanding and mutual respect among road users. This has resulted in minimum passing distance legislation being introduced or put into trial in several states across Australia. At present, Victoria is the only state without a minimum passing distance law implemented or in trial. Commonly, motorists must leave a distance of at least 1 metre when passing a cyclist at less than 60 km/h, and 1.5 metres when going 60 km/h or faster. These rules are obviously a real win for cycling safety in Australia. I would argue that the campaign has been successful not just in terms of passing cycling safety laws but also in increasing the awareness of safe passing among motorists. I feel safer on the road today than I did a few years ago, and that is largely due to more drivers respecting minimum passing distances. Bear in mind that I live in Victoria where no such law is currently in place. However, don’t just take my word for it. 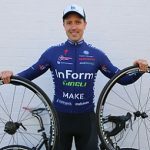 I recently attended a Q&A session with cycling legend Simon Gerrans, who lives in Europe most of the year. Here’s what he said about cycling safety in Australia: “I’ve lived in Europe for many years and come back to Australia over summer…Australia is definitely one of the scariest places to ride and there’s very little awareness of cyclists. I must say though, that it has gotten a lot better in recent years, motorists are giving more space and it feels a lot safer”. With all this progress, should we raise our arms in celebration? Not yet. Cyclists are still 20 times more likely to be killed or seriously injured than other road users, and although minimum passing distance laws might reduce that multiplier, there is no doubt that cyclists will continue to be the most vulnerable road users in the future. The most effective way of creating a safe environment for cyclists is by creating infrastructure that keeps cyclists away from passing cars, opening doors and jaywalkers, but it’s expensive and time consuming to make that happen. It also requires political will. While we wait for the long-term impacts of improved infrastructure, awareness campaigns such as “Share the Road” are the tool of choice. Here’s what’s missing from the “Share the Road” campaign: safe riding awareness for cyclists. As evidenced by the video above, the campaign has so far been all about how drivers should behave around cyclists. What about the responsibility of cyclists to be considerate of other road users and obey road rules? I would argue that many cyclists don’t know the road rules applicable to them (like I didn’t, before I read the rules in full), and the road authorities have not been good at communicating these rules either. 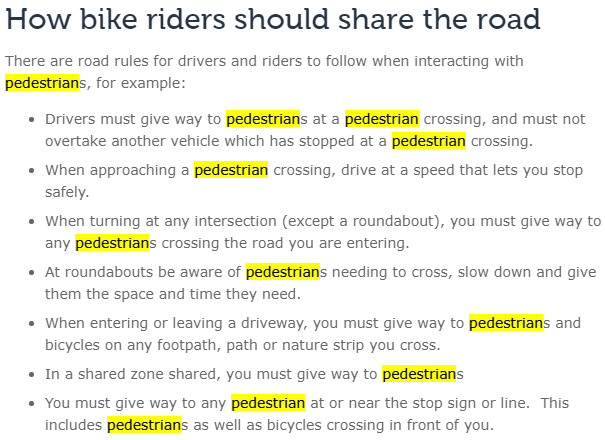 I’ve highlighted the word “pedestrian(s)” to point out what the focus should be for cyclists, according to Vic Roads. I don’t know about you, but when I think about sharing the road as a cyclist, I see the interaction with pedestrians as very infrequent and low risk. I want to know how to interact with cars and how to avoid getting hit! As much as we need safe passing laws and awareness campaigns for drivers, we also need campaigns to educate cyclists on how to behave in traffic. Many cyclists are either unaware of the rules in their area or have some bad habits to shake. You see many inexperienced bike riders stopping, changing lanes or swerving without signalling or looking over their shoulder, overtaking other cyclists on the left, running red lights, riding on sidewalks and many other bad habits that create danger on the road. Teaching people how to ride a bike in traffic is currently a big gap in these public awareness campaigns. Indicate when turning or changing lanes. Always check your mirrors and your blind spots before changing lanes. Keep appropriate distance to other road users. When and how are you allowed to ride beside other cyclists? Who can ride on sidewalks? Who has right-away in left-turn situations? When must you use a hook turn to turn right? How should you indicate when stopping or turning? How do you orient yourself before changing lanes or stopping? If every cyclist and motorist knew the answers to these questions, our roads would be safer and road users a lot more tolerant of each other. Bunch rides cop a lot of flak from other road users because they tend to get into situations where it is hard to obey road rules, without compromising the safety of riders within the bunch. For example, in most states, cyclists are only allowed to ride two abreast in any single marked lane and not more than 1.5 metres apart. These rules can be hard to abide by for a big group of 50+ riders when a road is narrowing or turning. Another common challenge for bunch rides is intersections with changing lights. If a big group passes through a changing light, it is often difficult for the riders in the middle of the group to stop abruptly without causing a collision with those behind them. Riding in a bunch is very different to riding alone or in a small cluster and cyclists need to learn how to behave and react in a big group for the safety of themselves and other road users. 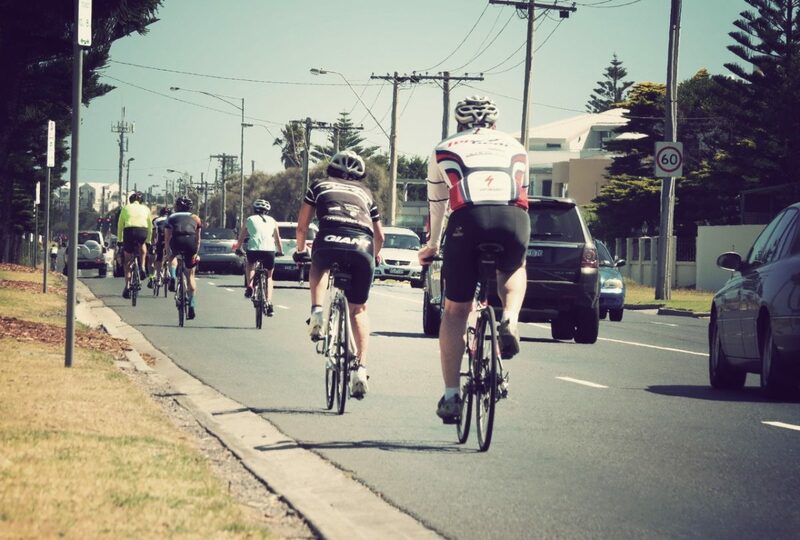 Road rules are the same for all cyclists, whether they’re riding alone or on a big group, so the riding etiquette within the bunch is fundamental to the safety of everyone on the road. At Bike Chaser we’ve recently launched a Kickstarter campaign to raise funds for a video documentary on bunch riding in Australia, with a particular focus on Melbourne’s famous Hell Ride. Our goal is to build awareness around the intricacies of bunch riding and inform cyclists and motorists on bunch riding etiquette. Moreover, we want to create a film that puts a human face to cyclists with the goal of fostering empathy and understanding among road users. Please head over to the Kickstarter campaign page if you’d like to learn more about the documentary and show your support. Lastly, I’d encourage you to understand the bicycle road rules in your state or territory. You can find them here: Australian Capital Territory, Queensland, New South Wales, Northern Territory, South Australia, Tasmania, Victoria and Western Australia. What’s missing from the “Share the Road” campaign? Actually taking action against those drivers that breach the Laws. Police refuse to do anything. I’ve made 12+ “punishment pass” complaints in QLD. Most with GoPro evidence. Not a single fine to any driver. Why share the road when they can do whatever the hell they like, almost killing another human being, and won’t even get a phone call from Police? Telling cyclists we need more awareness: How utterly insulting. All I do every second of my rides is be aware of careless and entitled motorists and try not to die. Daily near-death experiences tend to sharpen your awareness. Funny about that. Thanks for sharing your thoughts Stuart. We have a long way to go as a society in creating a safe cycling culture (police included!). I’ve previously shared my views on this which you’re welcome to read. I’m glad you’re very aware on the roads – so am I (I want to stay alive)! In saying that, there are motorists and cyclist who can learn a thing or two about how to behave in traffic and that doesn’t take anything away from those who display good behaviours, like yourself. I am in agreement in the general thrust of the blog. We ciyclists need to know and obey what the law requires of us. this needs education firstly then peer pressure then and only then enforcement. I thought that i have had is for every bike sold at bike shops the general laws governing riding on our road is issued as part of the sale and stressed at the same time for the need to read and apply. I understand that return and experienced riders may not want to get these but give them anyway. This falls down for internet and private sales. Group riding etiquette is a learned process even to the point of learning to eat and drink safely when riding. These skills can only be learned in that environment. So get with a group of riders who will teach you. British Midlands Police have Reduced Bike Fatalities by 20% simply by enforcing their already in place minimum passing laws. Cops are reluctant participants in enforcing laws that should make an immediate and dramatic difference to Cycle Safety. The Key Characteristic of any behaviour modification law is Enforcement. But the Reality of Losing Licences, Fines & Jail terms are what makes “educational” or “awareness” programs stick. Eg #2 Speaking to a Bike Safety seminar at Sandy Police station the same day I was nearly killed by 2 cops (seperate instances) during the Hell Ride it was admitted that the only way VicPol would ever prosecute dangerous passing by drivers was in the scenario where you were knocked off your bike and Preferably – killed! Just show me the stats VicPol where you are busting & fining car drivers for passing bike riders in a dangerous manner? Truth is! These numbers are Zero!